As everyone in Japan now knows, there are millions of vacant houses and apartments throughout the country, many of which are on sale for a song. The money and effort needed to renovate these properties, however, often isn’t worth it given how inexpensive new houses can be. That, of course, is the main reason why there are so many vacant homes in the first place. With the Airbnb boom, people may think they can buy some of these cheap residences, fix them up and make a killing by renting them out to tourists. However, 75 percent of the Airbnb listings in Japan are in Tokyo, Osaka and Kyoto, cities where property remains expensive, and 70 percent of all listings are apartments and condos. There is one area of potential: resort condos, one of the most depressed real estate markets in Japan. During the bubble years, tens of thousands of units were built in onsen (hot-spring) resorts and ski areas, and they sold very well. Eventually, though, the ski boom ended, and after the bubble burst and the economy contracted, most owners realized they couldn’t afford a second home. Even when they could, they found they didn’t have the time to use these vacation homes effectively. The major housing portal sites in Japan list thousands of used resort condominiums, with prices going as low as ¥100,000. In order to put that sort of number in perspective it’s helpful to first look at cheap non-resort condos in the Tokyo metropolitan area. Most of these are former kōdan, or condos that were built in the 1970s and ’80s by the Japanese housing authority, which eventually morphed into the semi-public housing corporation UR. Despite their unappealing outward appearance, these condos are good value due to the durability of construction and quality of landscaping. In fact, in recent years younger buyers have shown an interest in old kōdan, partly out of an interest in the retro, but also because the buildings are relatively easy and cheap to remodel. Two home-furnishing companies — Mujirushi (Muji) and Ikeya — are even working with UR to renovate old kōdan with their products, though this is only for rental units. 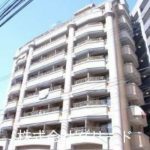 On the Home’s portal site, we found a 56-square-meter apartment for ¥3.5 million in Shiroi, about 40 minutes from Tokyo in Chiba Prefecture. At 36 years old, it qualified as superannuated by Japanese housing standards, but in our experience, kōdan tend to be well kept by the companies who manage them. The monthly management fee (kanrihi) was advertised at ¥5,000 and the monthly repair fee (shuzenhi) at ¥12,000. The reason for the low management fee is that residents in old kōdan are expected to pitch in with cleaning and light maintenance. The apartment was also only an eight-minute walk from the nearest station. The main drawback was that it was on the fifth floor of a five-story building with no elevator. In Sayama, Saitama Prefecture, properties tend to be more expensive than in Chiba, but we found a 42-year-old, 48-square-meter kōdan for ¥1.5 million. The price was low because it came with a kokuchi (notification). Kokuchi usually indicate that someone died there or that there was once a fire. The management and rental fees of the kodan were ¥4,000 and ¥9,000, respectively. The main drawback was that you needed to take a 10-minute bus ride to the nearest station. Resort condos are even cheaper than these nonresort examples. The best place to search for vacation properties is at Suumo, since it deals exclusively with second homes. The main areas for second homes around Tokyo are Karuizawa in Gunma Prefecture, the Fuji Five Lakes region in Yamanashi Prefecture and the Izu Peninsula. 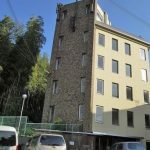 The former two areas don’t have many condos, but Izu has hundreds of vacant ones thanks to a late ’80s resort housing boom that was partly sparked by TV dramas set in the area. 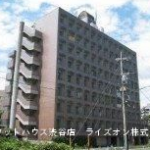 When these units were new, they sold for between ¥40 million to ¥50 million each. In Atami, Shizuoka Prefecture, the most famous seaside community on the peninsula, we found 113 condos for sale on one portal site. The cheapest was going for ¥300,000: 40 years old, 40 square meters, eight minutes by bus from Atami Station. It sounds like a steal until you read the fine print: ¥43,000 a month for management, ¥15,000 a month for repairs. 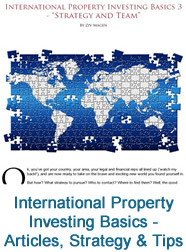 The management fees are the main stumbling block for sales of resort condos, because such buildings usually require more maintenance, especially if they have large communal onsen baths and other vacation-type amenities. They also tend to have live-in superintendents who must be paid full-time salaries. We found a better bargain in Usami, along the Ito Line: ¥550,000, 38 years old, 37 square meters, 20 minutes by bus from the station, and with a management fee of only ¥13,500 a month. You could even get natural spring water pumped into your unit, but you would have to pay ¥1 million for the rights. 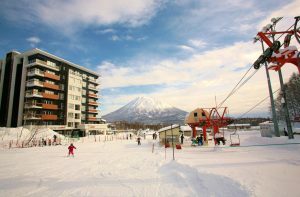 During our online search, we found a condo in Naeba ski resort, Niigata Prefecture, listed for ¥100,000. It was 27 square meters, 26 years old and had a ¥12,400 monthly management fee. However, there were no photos of the unit, so we assumed it was probably in even worse repair than it sounded. 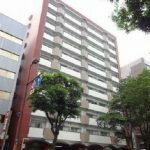 In the same building, another unit of 36 square meters was selling for ¥300,000, with a ¥17,500 monthly management fee. The ads don’t always reveal a prime caveat. Years after they realized they couldn’t afford them, the owners of some of these condos have not only been unable to sell their properties, but they also have not kept up with the management fees and property taxes. This means anyone who buys such a unit will also have to cover a backlog of payments that could run into millions or even tens of millions of yen. Low sale prices can therefore be deceptive. Naeba is famous for this problem because of oversupply. 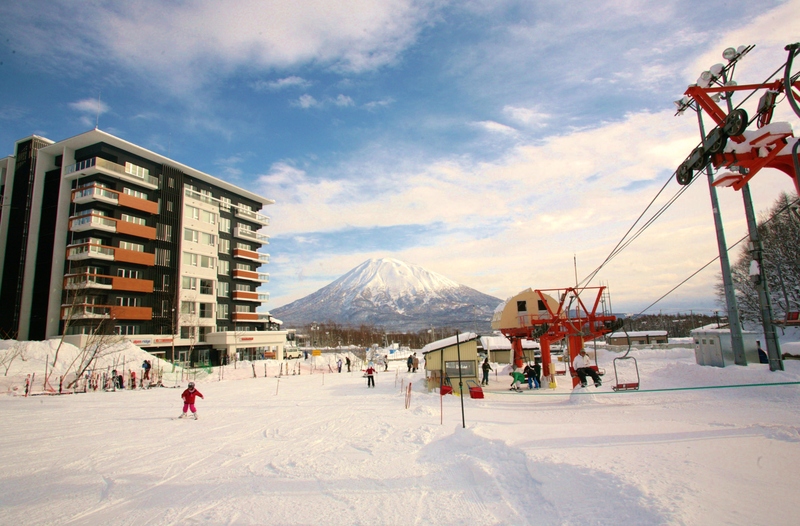 Other ski resorts in Nagano Prefecture and Hokkaido have had better luck selling or renting condos to non-Japanese, mostly Australians, who only come for the season. One region that offers a sensible balance is Onjuku, on the Kujukuri shore of Chiba Prefecture. A haven for surfers, Onjuku has a lot of resort condos. We found one — 47 square meters, 37 years old, renovated with new water heater — five minutes from the main train station and going for ¥1.1 million, with a management fee of ¥12,710. Several years ago, we were thinking of living in Onjuku, and the real estate agent showed us some condos on the beach, confessing that he moved to the area because of the surfing — selling real estate was what he did in his spare time. Some people, it seems, do prefer resort life all year round. 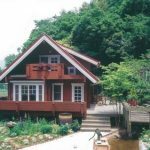 Share the post "Japan’s Resort Property Market of the Lost Decade Sparks Interest with Ski Enthusiasts"